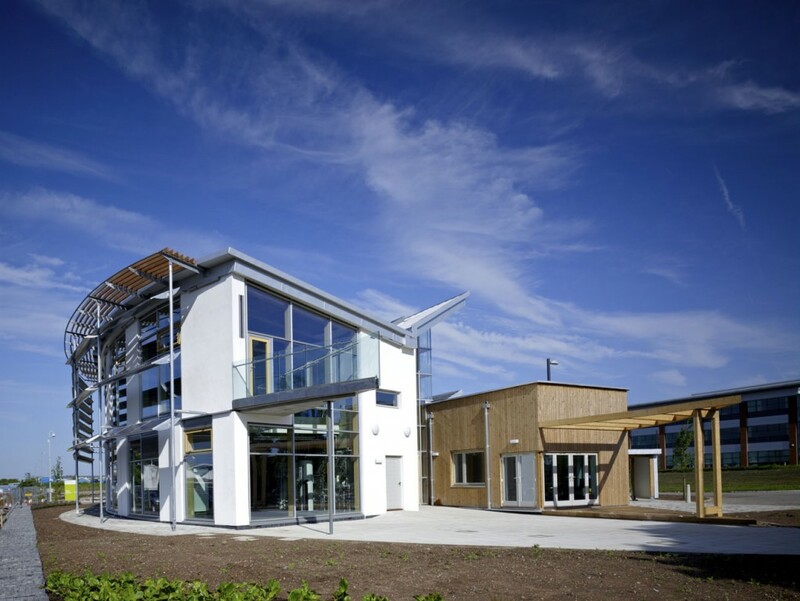 Sustainability Initiatives: Solar thermal, PV, small scale wind turbine, ground source heat pumps, CHP, condensing boilers, heat recovery ventilation, rainwater harvesting, insulation products and more! 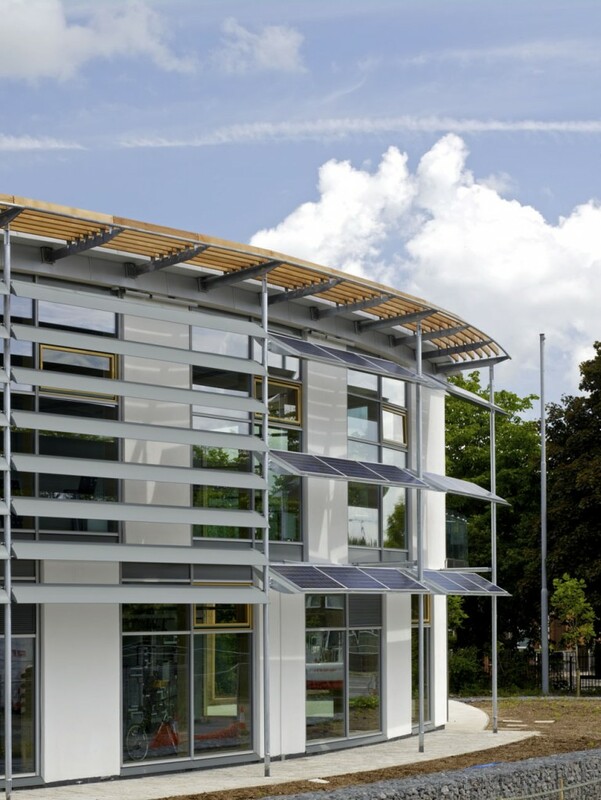 This innovative two storey 630m2 building is intended to promote sustainable materials and technologies. It is organised in two sections, south and north, separated by an internal street. 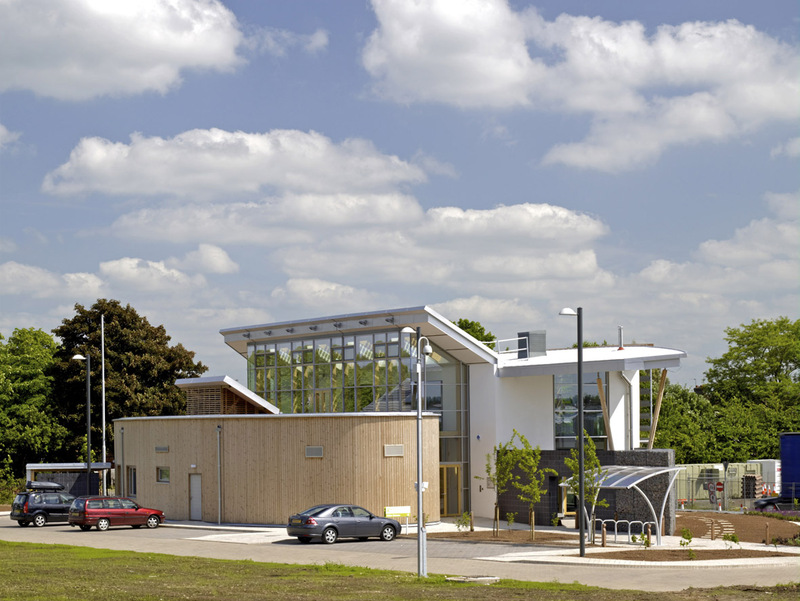 The building provides a variety of themed demonstration galleries, energy, water, sustainable products, as well as training facilities and a small café. 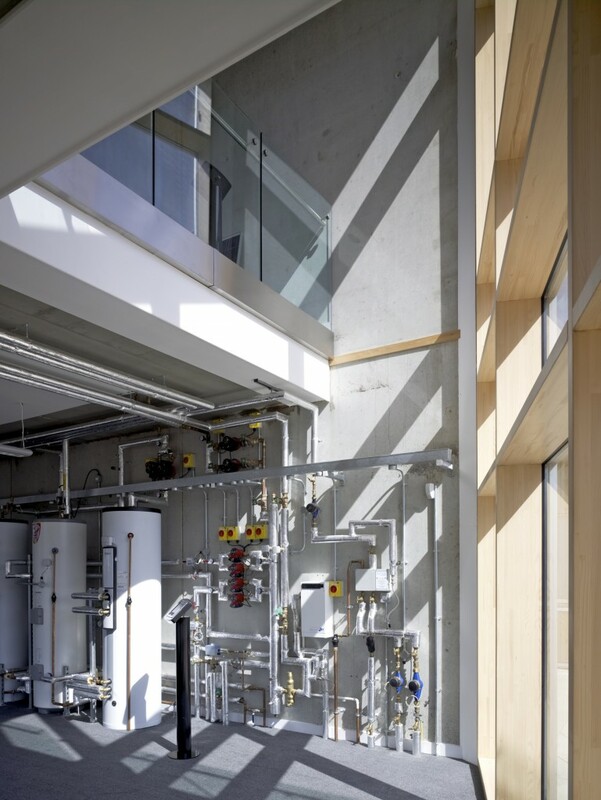 For our case study booklet detailing products specified for this project click here.